The DH 75 and DH 110 are floor standing high performance and high capacity dehumidifiers. With high moisture extraction for low energy use, as well as being corrosion free and easy to clean, makes them idea for dehumidifying your pool hall. Also available are options for additional air heating, and through the wall installation that can be situated adjacent to the pool hall. Outdoor pools need heating for comfort, but as the heat is lost to the atmosphere, new energy must be constantly supplied to keep the pool heated. How can the energy usage and heating costs be minimised? Heat pumps are recognised as the most sustainable way to dynamically heat swimming pool water and with a Zoe INTL heat pump you will save both energy and operating costs. Zoe INTL Pro-Pac heat pumps are available for seasonal use during typical outdoor pool summer seasons, for long seasons and even for all year round enjoyment. Zoe INTL Pro-Pac commercial swimming pool heat pumps are specifically designed to economically provide swimming pool water heating to high use pools, and larger pools such as those in campsites, leisure parks, water parks and hotels. Zoe INTL Pro-Pac commercial heat pumps are designed to work during warmer times of year when air temperatures are above 10°C. Pro-Pac heat pumps are suitable for outdoor pool heating or pools with a semi-permanent enclosure to extend the usable period of a normal outdoor pool. Zoe INTL Pro-Pac Y commercial heat pumps are designed to operate in air temperatures as low as -15°C and are suitable for heating outdoor pools all year round, as well as indoor pools. Zoe INTL (swimming pool) heat pumps can save up to 75% for both operating costs and carbon savings against direct electric heaters, and up to 47% operating cost saving against fossil fuel boilers and up to 60% carbon saving against fossil fuel boilers (based on UK energy costs). Pro-Pac heat pumps are easy to install on new pools and to retrofit for existing swimming pool systems, with minimal maintenance required. On the basis of pool surface area, water temperature, local climate, season of use and bathing activity, Zoe INTL heat pumps can be designed to accommodate any requirement. All products are supported by an in-house applications department, distributors and service network. There are many important factors to consider when planning and designing an indoor swimming pool. Maintaining a comfortable pool environment requires the pool water and air to be heated, and in many cases this heating is carried out by heat exchangers and boilers using oil or gas as fuel. As a result of continuous evaporation, the pool water loses a significant quantity of heat. The resulting warm humid air is not only uncomfortable, but also contains vast amounts of valuable heat in the form of latent energy. This must be removed from the pool hall to protect the pool building from destructive condensation and chemical damage, whilst maintaining a safe and comfortable leisure environment for bathers. ​Reusing this energy, rather than wasting it and continually needing to replace it with new heat, offers the opportunity to combine effective environmental control with saving energy. It is impossible to avoid water evaporation in leisure centres and swimming pool halls, however using a carefully designed ventilation solution, the relative humidity can be controlled to a comfortable level. A swimming pool environmental control unit must carry out its primary task of dehumidifying the pool hall air, be designed and constructed to withstand the pool air environment, and provide a continuously modulated quantity of heated or cooled fresh air for the comfort of users. We can offer two solutions for indoor pools, with both heat pump and fresh air technologies. Zoe INTL’s expert sales engineers can advise what the best solution is for your leisure centre air handling. A Zoe INTL Delta will provide the complete answer to humidity control, water/air temperature control and real time fresh air requirements. By recovering the latent energy in the moisture laden air of a pool hall using heat pumps, a Zoe INTL Delta will return this energy to heat the pool water or use it to assist with pool air heating. There is usually sufficient recovered energy to provide all the operational water heating requirements with any further surplus used for air heating. Zoe INTL systems can simultaneously care for and preserve the building structure, reduce energy usage by up to 70% and lessen associated CO2 emissions by up to 70%. As the units are based on heat pump technology, efficiencies are normally around 300%. A complete solution like the DanX offers a wide range of benefits – from greatly improved air quality and no chlorine smell in the pool room, to options for free cooling in summer and very high dehumidification capacity during winter, when condensation problems can be serious. The solutions are ideal for private pools and hotel pools as well as municipal and commercial projects in every climate around the world. From massive water fun areas and luxurious hotel pools to spa resorts, health resorts and traditional swimming pool halls. Highly efficient heat recovery and low specific fan power, combined with an optimized control strategy, contribute to cost efficient operation and significant energy savings. All components are chosen to ensure high capacity and a long service life. The system lets you add as much as 100% outdoor air. Heat exchanger that delivers up to 95% heat recovery combined with low-energy EC fan motors and optimal, high efficiency compressor ensure the lowest possible operating costs. On the basis of pool size, water temperature, air temperature, humidity and bathing activity, Zoe INTL’s units can be designed to accommodate any requirement. On the basis of pool size, water temperature, air temperature, humidity and bathing activity, Zoe INTL’s can be designed to accommodate any requirement. An indoor swimming pool is a wonderful leisure and exercise environment, but there are many important factors to consider when planning and designing a domestic pool. Maintaining a comfortable pool environment requires the pool water and air to be heated, and this is a significant energy use. As a result of continuous evaporation while the cover is removed, the pool water loses a significant quantity of heat, and the resulting warm, humid air is not only uncomfortable, but the high humidity poses real problems for the building structure. Left unchallenged, high humidity can be a major problem in indoor swimming pools and spas. Prolonged exposure to high humidity causes walls, decorative finishes and roofs to deteriorate rapidly. High humidity causes personal discomfort and unless the environment is controlled to a comfortable humidity in the range 55%-65%, bathers will not benefit from enjoying the use of their swimming pool. Excess humidity must be removed from the pool hall to protect the pool building from destructive condensation and moisture damage, whilst maintaining a safe and comfortable leisure environment for bathers. In the past, the conventional approach to combating humidity came in the form of wasteful air extraction from the pool hall. The advanced range of Zoe INTL heat pump dehumidifiers provide an efficient and economical solution without using large quantities of fresh air. From wall-mounted dehumidifiers for humidity control, with options for air heating, to the Variheat range of sophisticated environmental control systems, Zoe INTL have systems for every domestic pool. By recovering the latent energy in the moisture laden air of a pool hall using a heat pump dehumidifier, a Zoe INTL swimming pool dehumidifier will reduce the humidity in the pool hall, while returning energy to heat the air. Variheat systems start with ducted dehumidifiers, through to sophisticated environmental control systems with heat recovery to pool water. Zoe INTL Pro-Pac swimming pool heat pumps are specifically designed to economically provide swimming pool water heating. Zoe INTL Pro-Pac Y heat pumps are designed to operate in air temperatures as low as -15°C and are suitable for heating the water in indoor pools all year round. Removing humidity from the air enables Zoe INTL to absorb latent energy and return it to the air as useful heat. The heat pump technology converts 2.5kW to air heating for every 1kW of electricity consumed – a real bonus for running costs! For water heating, Zoe INTL heat pumps can save up to 75% for both operating costs and carbon savings against direct electric heaters, and up to 47% operating cost saving against fossil fuel boilers and up to 60% carbon saving against fossil fuel boilers (based on UK energy costs). Fully self-contained systems, Zoe INTL dehumidifiers require minimal installation. When it comes to operation, Zoe INTL units offer quiet, reliable and safe performance. Flexibility is built-in. Wall mounted dehumidifiers come with an adjustable air discharge allowing air to be directed in an 80° range between horizontal and vertical, thus allowing installation at high or low level. 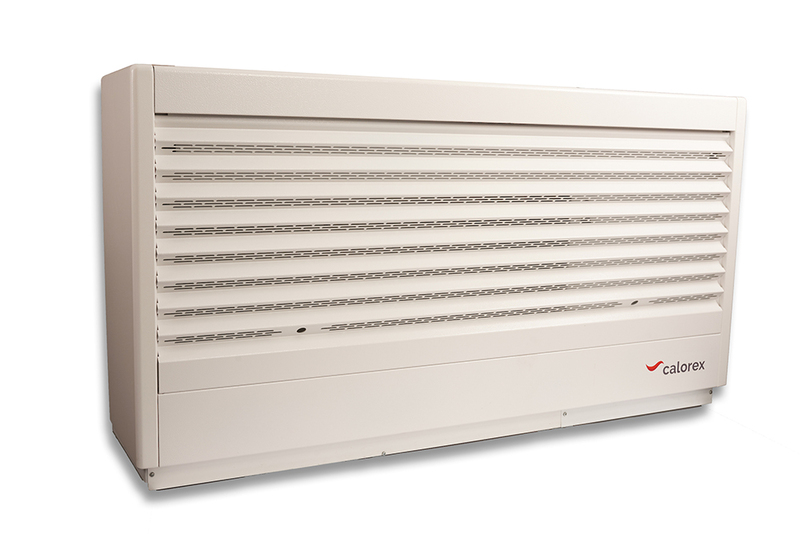 Variheat systems are available in a wide range of configurations to suit a variety of pool types and plantrooms. On the basis of pool surface area, water temperature, air temperature, humidity and bathing activity, Zoe INTL dehumidifiers and heat pumps can be designed to accommodate any requirement. All products are supported by an in-house applications department, distributors and service network.